Did you know that more than 178 million people in America are missing at least one tooth? It’s true. Luckily, if you are one of them, you can restore your smile with dental implants. Dental implants are one of the most effective ways to replace one or more missing teeth lost to gum disease, tooth decay, injury, genetics, or other cause. 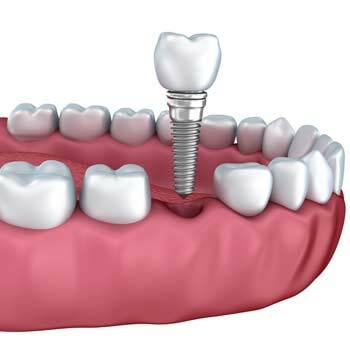 More specifically, dental implants are replacement tooth roots that provide a strong and sturdy foundation for fixed (permanent) or removable replacement teeth. Implants are the strongest option next to natural teeth. Implants look, feel, and work like normal teeth. Implants help preserve bone and even stimulate bone growth. Implants help your face retain its shape while missing teeth can cause sinking. You can eat, speak, smile, and laugh without worrying about your teeth. Implants have a success rate as high as 98% and can last a lifetime with proper care. While dental implants are not for everyone, it is best to talk to your dentist to see if they are the right tooth replacement option for you. You don’t have to go another day with an incomplete smile. Replace any and all of your missing teeth with dental implants and achieve a healthy, beautiful smile. Contact our experienced team at MAC Dental Care to schedule your dental implant consultation today.